AMC needs a few good zombies for the Walking Dead television series. 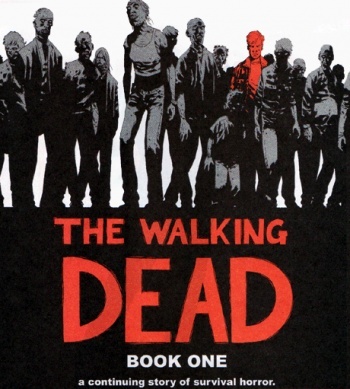 The first two episodes for AMC's television adaptation of Robert Kirkman's The Walking Dead comic book are going to be filmed this summer in Atlanta, and AMC needs zombies. Think you've got what it takes to slowly decay while eating human flesh? Now's your shot. On Location Vacations caught the call for Walking Dead zombie extras, which will be needed in the Fairlie-Poplar District of Atlanta over at least two definite weekends: June 11-13 and July 2-4. If you're interested and have an open schedule until September, email your information to [email protected] and make your big break. But wait, it's not that easy. All extras must be trained in "zombie school," which apparently takes quite some time to complete. Classes include "How To Speak Without Vowels" and "Shambling 101." I can think of nothing I would rather be educated in than the ways of a zombie, can you? Being an extra in film and television can generally be pretty boring, but being a zombie extra? That's nothing less than awesome.